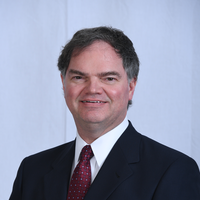 Dr. Timothy Lucas joined Altoona Lung Specialists in 2000. He received a Bachelor of Science Degree from the University of Pittsburgh. Dr. Lucas attended medical school and performed his internship, residency, and fellowship training at the Pennsylvania State University College of Medicine in Hershey, Pennsylvania. Dr. Lucas is certified by the American Board of Internal Medicine in Internal Medicine, Pulmonary Disease, and Critical Care Medicine, as well as the American Board of Sleep Medicine. He enjoys the distinction of being a Fellow of the American College of Chest Physicians. Dr. Lucas has privileges at UPMC Altoona and is the Director of the Sleep Disorder Network in the Lung Disease Center of Central Pennsylvania. He also has privileges at HealthSouth Rehabilitation Hospital, the James E. VanZandt VA Medical Center, and J.C. Blair Memorial Hospital. Dr. Lucas was born in Johnstown, Pennsylvania and he resides in Hollidaysburg, Pennsylvania with his wife, Tanya, and their two daughters. Dr. Lucas is committed to the community and is a past Board Member of the Altoona Area School District.